This is a Koji Hara custom liner lock folder. 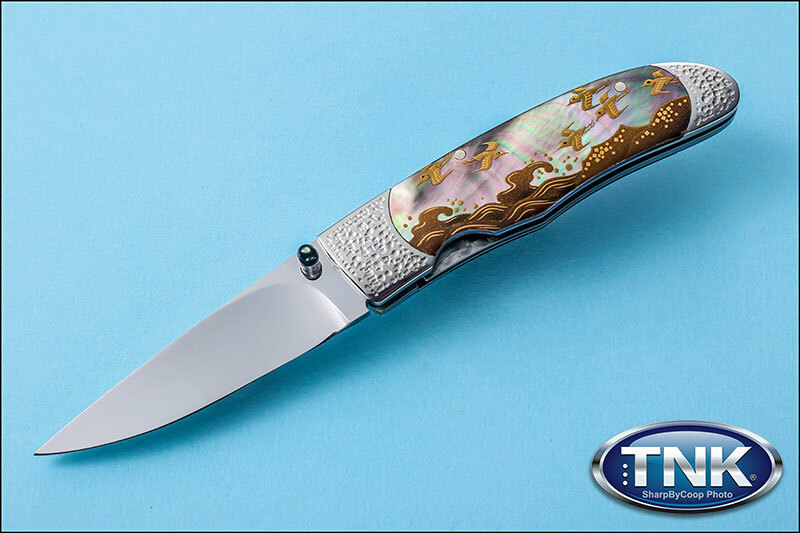 It features a 416 stainless frame with a stunning Black Lip mother of pearl handle engraved by Kaminko-san. Black pearl window pane backstrap. Cowry Y polished blade and a smooth opening action. Thumb stud opener with inlay.